Taking to his Twitter account Thursday, newly signed Miami Dolphins wide receiver Danny Amendola sent out a thank you message to the Patriots organization and fans for five memorable seasons that saw “Dola” contribute to two Super Bowl championships and five AFC conference title game appearances. 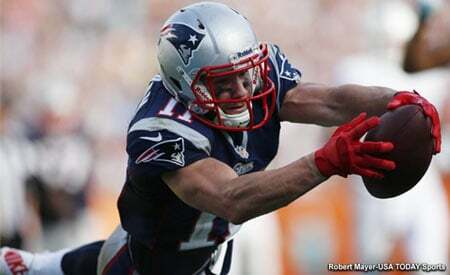 During his stay in Foxborough he developed a reputation for his clutch play when it mattered most, in 13 playoff games Amendola hauled in 57 catches for 709 yards and six touchdowns. 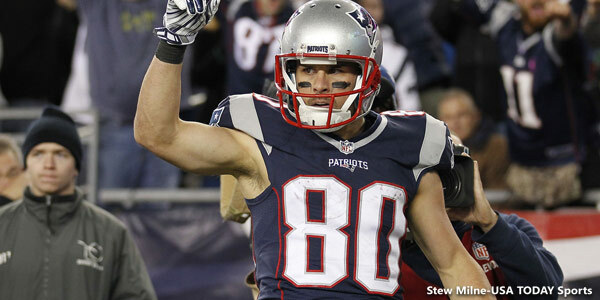 This entry was posted in Patriots Photos, Patriots Twitter and tagged 2018 Patriots Free Agency, Danny Amendola on March 16, 2018 by Robert Alvarez.